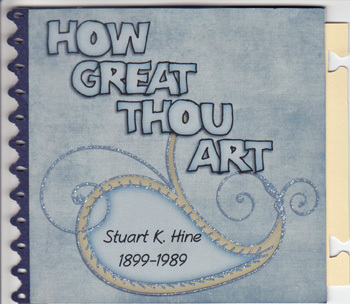 For this fortnight Patter has given us a wonderful hymn - How Great Thou Art. As you will read on my digital page whenever I am in Church and we sing this hymn I am glad when others also join in singing it out real loud. If you want to read Patter's information about the hymn writer and her devotional thought please visit her blog here. Love this! 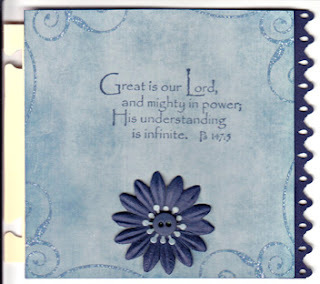 What a cool use of the digital kit and I love the papercraft piece as well! 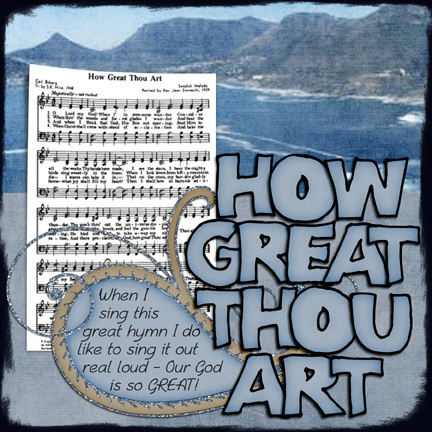 Thanks for your thoughts - I love that song by Michael W. Smith too. Beautiful pages! Really like the beautiful scenery on the digital art page and your personal journaling is such a lovely addition.Thanks for posting the video, really enjoyed it. Anne-Marie, how beautiful this is and I love the mountain look of the background along with your scripture! I am looking so forward to seeing what you create each time.